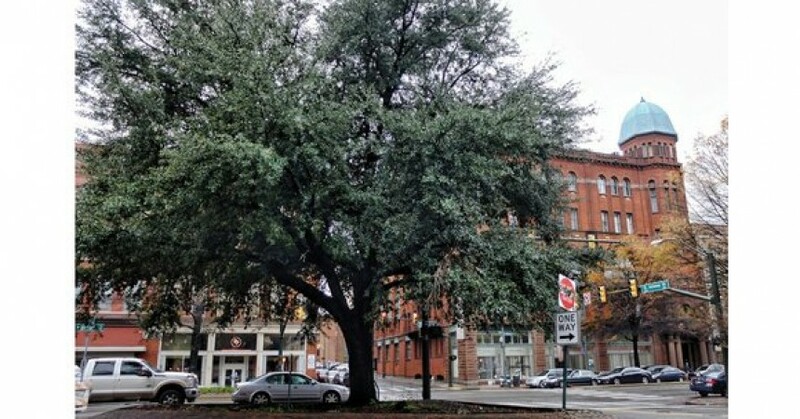 A live oak tree that stands on the site where Maggie L. Walker will stand in Downtown Richmond, Va. will be axed from the site, sealing a win for activists who argued that the tree adjacent to the historical Black statue would recall the days of lynching. The tree’s fate was sealed last week when sculptor Antonio T. “Toby” Mendez met with the Richmond Public Art Commission’s Site Selection Team, led by architect Sarah Driggs. By a 7-0 vote, the team recommended that Mendez eliminate the tree from designs he is creating for the statue and plaza planned for the gateway to historic Jackson Ward at Adams and Broad streets — a recommendation he supports. “The tree does not belong there,” Driggs said before the vote. She said the tree would obscure the view of the statue, and she cited concerns that had been raised about unwanted connotations. As the Richmond Free Press reported in December, Jackson Ward resident Gary Flowers, formerly president/CEO of the Washington, DC-based Black Leadership Forum, led efforts to remove the tree. Joined by retired businessman J. Maurice Hopkins, Flowers said the tree would conjure up images of lynching if the statue were placed beneath it. 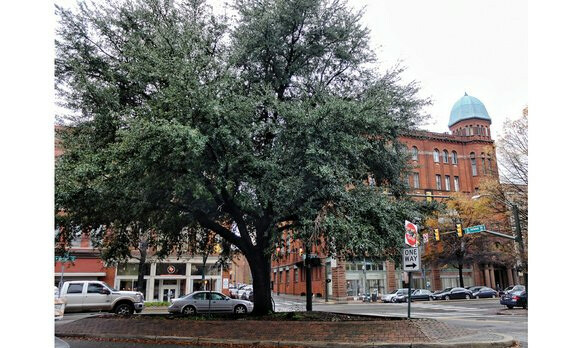 A rarity in Richmond, the live oak tree has been a feature of the intersection since around 1989. Flowers did not attend Saturday’s meeting. When reached for comment on the committee’s decision, he did not gloat. Meanwhile, Melvin Jones, an advocate for the statue and a member of the site committee, supported the tree’s removal. He said the tree’s roots would be damaging to the planned plaza. Mariah Robinson, a Jackson Ward resident who led a petition drive to save the tree, could not be reached for comment. However, Mr. Mendez already was on board with the committee’s decision, apparently influenced by comments and concerns about the tree that were raised last month during a public meeting on the statue. Mendez said after Saturday’s vote that the tree would “not be included” in the preliminary designs for the sculpture and plaza that he and other design team members would present to the public Feb. 20, at the Richmond Public Library’s Main Branch in Downtown. 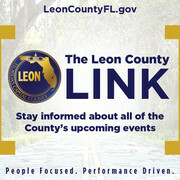 The city Public Art Commission, to which the Site Selection Team reports, hosted the event. While the city Planning Commission will have the final say on Mendez’s design, it appears most likely that the commission will see only a treeless version. The Public Art Commission will send its recommendation, possibly by April, to the Planning Commission. The commission is expected to take its vote after the design goes through the Urban Design Committee and possibly the Commission of Architectural Review.